This registered quartet sings with emotion. 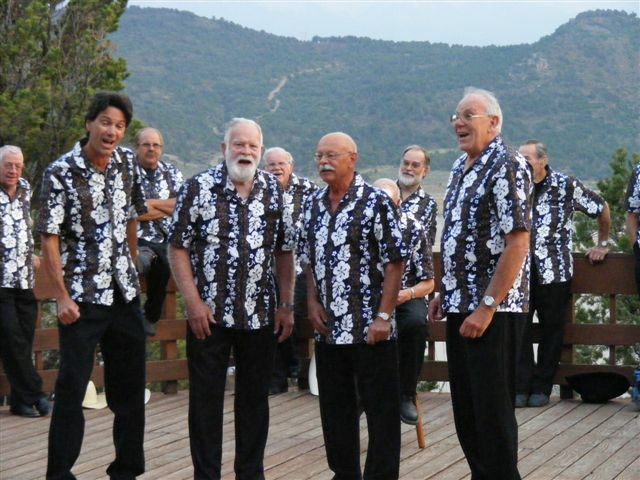 Fourmata appeared on the Delta Community concert and sang as a guest of the Valley Symphony. 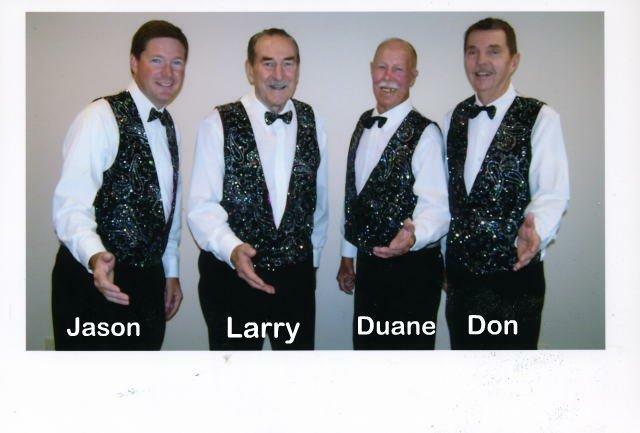 If you would like them to sing at your event, contact Bill by e-mail or call him at 874-9280. Summertime Quartet Who says singing can't be fun? 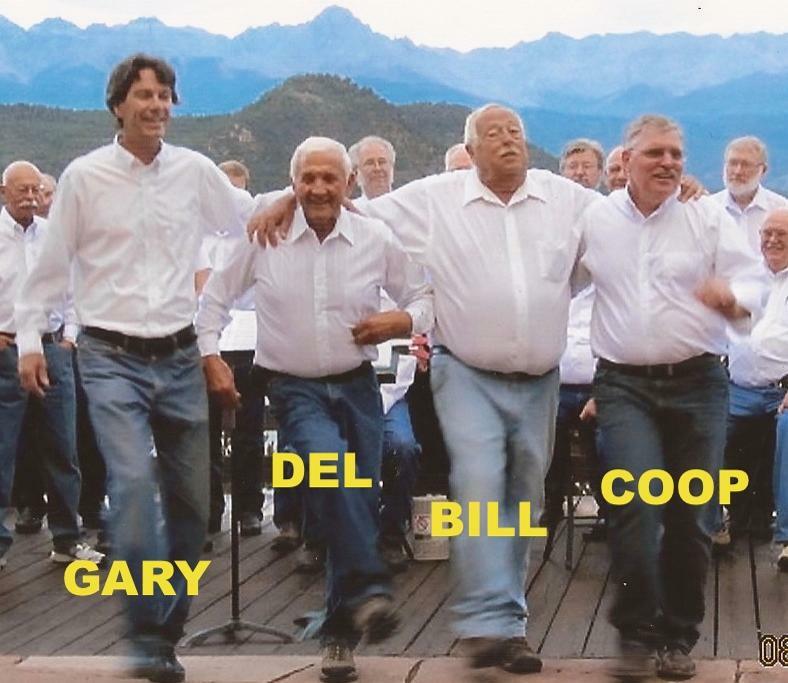 they sang together for over a year, and specialized in doo wop songs for old guys. They are currently not available to sing for you. Sadly, Duane, the bass, passed away on March 21, 2010, after a valiant battle. He will now be singing with the Celestial Chorus in Heaven. pitch pipe. It was a great ride, and everyone should try it. Pickup quartetting is a part of our regular Thursday evening rehearsals. Everyone gets a chance to show off. Four in a quartet is usually enough. When you are singing, you are GETTING YOUNGER!